New motor and magnetic brake design aimed at ultimate reliability and performance. Shur-Co has introduced the 4500 Series electric roll tarp with a new motor designed to provide the proper torque for the work and a very reliable magnetic brake . In addition, the 4500 sports flexible mounting brackets on two axes to keep the tarp rolling even and prevent bending under load. The 4500 is designed for ease of installation and company officials say the sealed control box and quick-connect SMARTwire harness allows "plug and play" simplicity. The sealed system is also insurance against corrosion and poor electrical connections in the future. The new 4500 Series Electric roll tarp from Shurco features a new motor with an all-metal casing and a reliable magnetic brake. 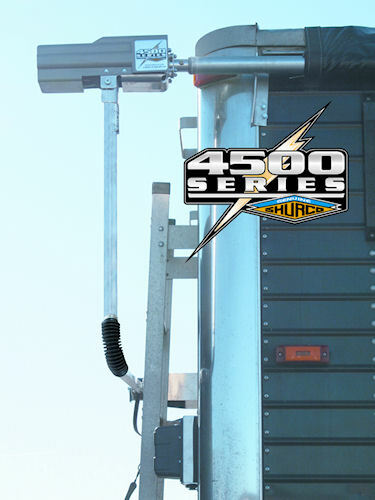 The 4500 is part of Shur-Co's SMARTrailer line, which includes a single SMARTransmitter which can operate the tarp, hopper doors and additional company options such as the LiteALL LED work light package. The line is available from Shure-Co dealers nationwide. To find one, visit www.shurco.com.